All PAL Cards (Powered Access Licensed-Registrations and Powered Access Licenses) issued by the International Powered Access Federation (IPAF) for training on or after Jan. 1, 2015 will be machine-readable, i.e. Smart PAL Cards. 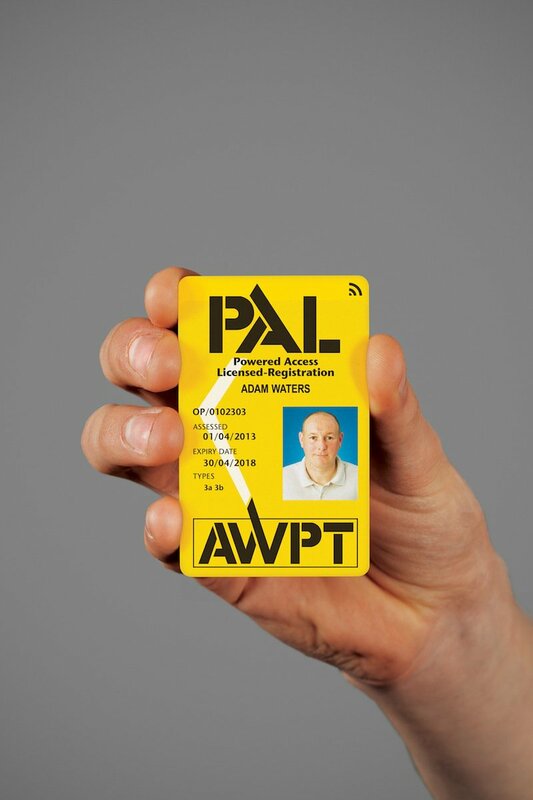 This move aims to improve site safety, as Smart PAL Cards may be used to ensure that only trained operators can use aerial work platforms (AWPs) and mast climbing work platforms (MCWPs) onsite. The Smart PAL Card is marked by a wireless icon and has a chip embedded in it. The data stored on the card, such as the operator name, number and categories trained in, is also printed on it, which means that the Smart PAL Card can still be used as a standard version. A card reader fitted to the machine can read the data in the chip. The reader can be set up to accept certain data (e.g. level of training, machine categories) that in turn will allow the machine to be operated. This means that a machine can be programmed to start only if the operator has had the correct training. Using a Smart PAL Card along with a reader device can allow control of machine access and thereby improve site safety. Site managers can use the system to ensure that only correctly trained operators can operate AWPs or MCWPs. They can also track who has used which machine for how long, and prevent fraudulent use. PAL Cards are issued to operators who successfully complete the IPAF training program after passing a written and a practical test. They are valid for five years and show the machine categories that operators have been trained in. More than 100,000 PAL Cards are issued each year through IPAF-approved training centers worldwide. The validity of a card can be checked by using the online verification tool.